Your resource for all things shoegaze and dream pop: Bloody Knives Fall 2016 Tour begins TOMORROW. 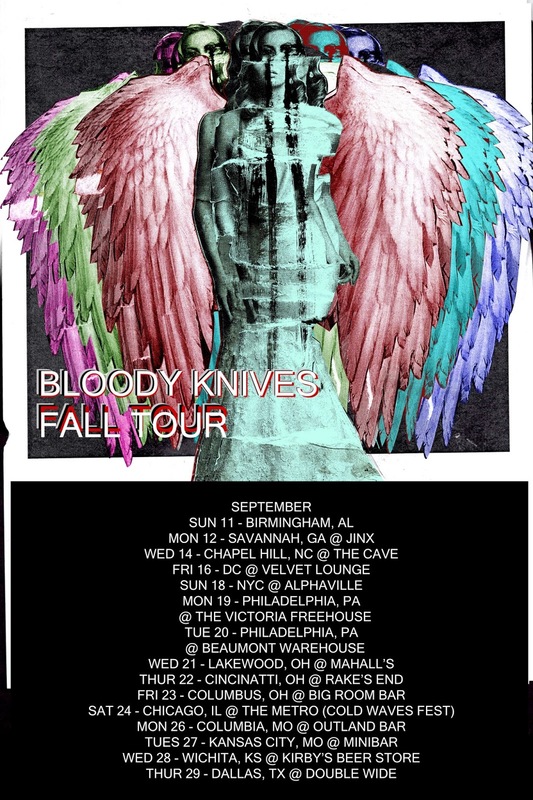 Austin-based trio Blood Knives begin their Fall 2016 tour tomorrow, following the release of their third LP, I Will Cut Your Heart Out For This, which came out earlier this year via Saint Marie Records. They'll have plenty of new merch and vinyl for sale at the shows. Check the details above to see if they'll be hitting your town.